In the seventeenth century, life ebbed and flowed with the seasons. In my research into the court household of Berlin, I noted seasonal shifts in livery, lighting, bedtimes, and, of course, recipes. Even with these seasonal adaptations, however, early modern Europeans sought to overcome seasonal growing constraints. One occupation primarily concerned with defying the seasonality of food was that of the court confectioner. It was his (and his wife’s) job to preserve the delicate summer fruits for wealthy Europeans to enjoy even in the depths of winter. There is nothing which doth more agreeably concern the senses, than in the depth of Winter to behold the fruits so fair, and so good, yea, better than when you first did gather them; and that then, when the trees seem to be dead, and have lost all their Verdure, and the rigour of the cold to have so dispoil’d your garden of all that imbellished it, that it appears rather a desart [sic] than a paradise of delicacies; then it is, I say, that you will taste your fruit with infinite more Gust and contentment, than in the summer it self, when their great abundance and variety rather cloy you than become agreeable. For this reason therefore it is, that we will essay to teach you the most expedite, and certain means how to conserve them all the winter, even so long, as till the new shall incite you to quite the old. Considering Bonnefons emphatic endorsement of summer fruits in winter, it is perhaps not surprising that confectioners were highly valued in Europe. The moist and cold properties of fresh fruit generally made it a nutritional no-no, according to Galenic principles of diet. However, candied fruits were considered medicinal and the position of court confectioner often fell under the office of the apothecary, not the kitchen. In the Renaissance, it was common to seal the stomach at the end of a rich meal with either fresh or preserved fruits and fruit at a meal was emblematic of the wealth and refinement of the host. 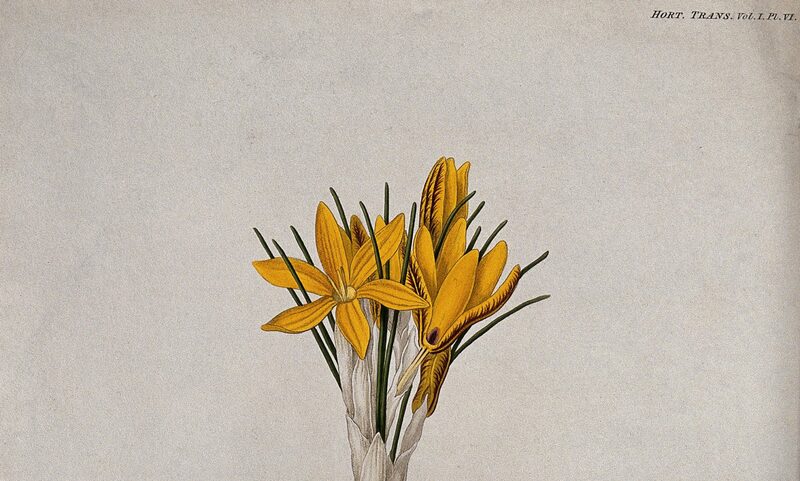 By the eighteenth century, the task of the confectioner to create elaborate sugar sculptures for the table was so ingrained that one encyclopedist claimed they belonged to the artist class and prospects had to apprentice themselves to a city confectioner for six years until they had mastered their art. Georg Flegel (1566–1638), Still life with cookies and confections (including dried cherries). The importance of the confectioner is apparent at the court at Berlin in the seventeenth century. 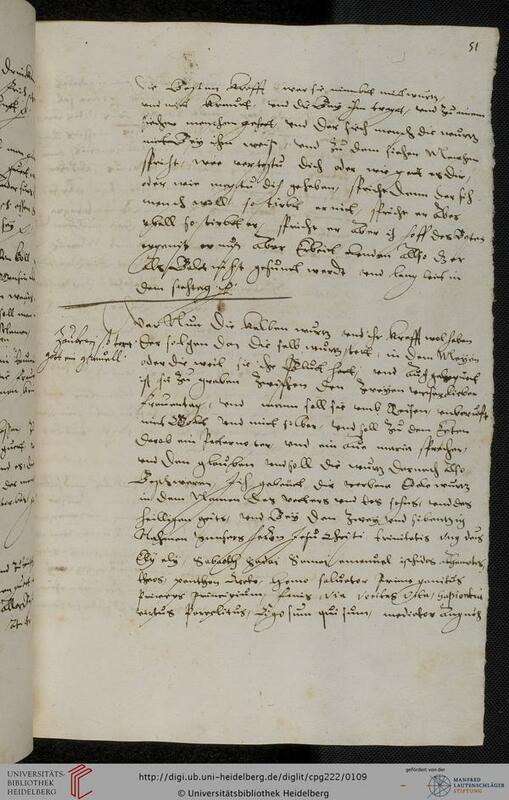 The household archives contain a frantic exchange from 1647 between the Great Elector Friedrich Wilhelm (1620-1688) and his counselors about finding a replacement for the deceased confectioner, Johann Schenke, whose wife did not want to carry on the job. It being early summer (Jun 27), the councilors expressed the pressing need to fill the vacancy because “now is the best time for juices and other garden fruits to be preserved.” Friedrich Wilhelm ordered them to install the Prussian confectioner, Johann Tiegel, in the position. He wrote that although they would eventually draw up a contract for him, Tiegel should get started immediately collecting the fruit from the gardens and bringing them to the elector’s tables with the appropriate confections. When it was finally written, the court confectioner’s employment contract specified the supplies he would receive to carry out his charge: 700 Reichsthaler (in addition to his 80 Reichstaler salary), 960 eggs, as much flour and fruit as needed (from the gardens and from in-kind taxes), 1000 citrons, 1000 bitter oranges, as well as a supply of wood, coal and candles. Occasionally, the confectioner did not get the necessary supplies, which hindered his ability to preserve fruits and was costly for the court. In 1657, Friedrich Wilhelm ordered that Tiegel surely be supplied with apples, cherries, and Black Corinths (Johannisbeere in German) in order to avoid the great expense of having to buy confections from outside of the palace, which had been necessary the previous year. Elsholtz’s descriptions also correspond with the menus and food receipts from the Brandenburg-Prussian household archive, which frequently list the ordering or consumption of dried cherries and cherry sauce (Kirschmus), in particular. In some popular food literature today, there’s nostalgia for a time when humans adhered more closely to the foods nature provided each season. Even prior to industrialization, however, people clearly prized the rarity of a taste of an off-season food. What the archival record reveals, though, is that early modern Europeans of all orders were still hyper aware of what foods were available when and were careful about timing the work of preservation accordingly. Nicolas de Bonnefons, John Evelyn, and John Rose, The French Gardiner (London: Printed by F.B. for B. Took, and are to be sold by J. Taylor, 1691), p. 191-2. https://hdl.handle.net/2027/uc1.31822031020266?urlappend=%3Bseq=218. This was the case in Berlin. See Peter Bahl, Der Hof des Grossen Kurfürsten: Studien zur hoheren Amtsträgerschaft Brandenburg-Preussens (Koln: Bohlau, 2001), p. 365. Ken Albala, The Banquet: Dining in the Great Courts of Late Renaissance Europe (Urbana: University of Illinois Press, 2007), p. 82-89. Johann Georg Krünitz, “Conditor,” Oekonomischen Encyklopädie oder allgemeines System der Staats- Stadt- Haus- und Landwirthschaft (Berlin: Pauli, 1773), http://www.kruenitz1.uni-trier.de/. Ibid, p. 55. 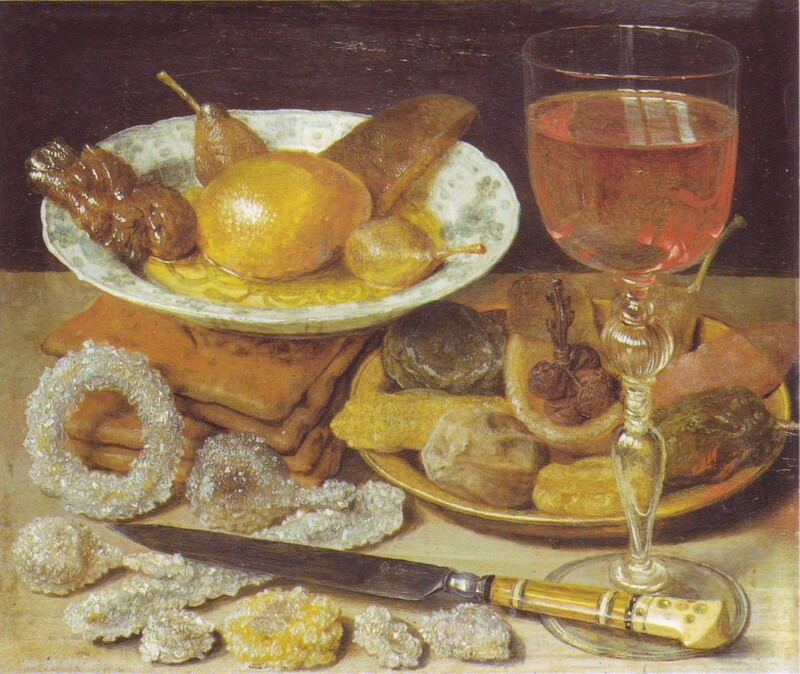 There is no mention of the quantity of sugar the confectioner would receive, but an earlier missive from the previous elector ordered the Office of the Domains (Amtskammer) to supply the confectioner with enough sugar for the dried fruits coming in as taxes-in-kind from the administrative districts (Ämter). Ibid, p. 16. Marina Heilmeyer, Kirschen für den König, Potsdamer pomologische Geschichten (Potsdam: Vacat, 2001), p. 10. Johann Sigismund Elsholtz’s 1656 plant catalog Horta Berolinensis can be found at the Staatsbibliothek Berlin Ms.boruss.qu. 12. Elßholtz, Vom Garten-Baw (Berlin, 1684), p. 258. Ibid, Diaeteticon (Cölln an der Spree: Georg Schulz, 1682), p. 61. Ibid, p. 436-7. I translated Viertal as quart and “Luttersack” as distillation sack. There’s a picture of a 19th-century Luttersack here (item 30). According to Adelung, the Lutter is what came out of the first pass through the fire when making brandy (which required two firings). In my recent First Monday Library Chat interview, I described the wonderful collections within the Bibliotheca Palatina at the Heidelberg University Library. As you might recall, one third of the German manuscripts within the Bibliotheca Palatina are recipe books. In fact, many of the Electors Palatine – the rulers of the Palatinate – were especially interested in medical prescriptions. They were eager to get information wherever they could and so they even collected single recipes. This kind of medical ‘small texts’ are revealing of social networks and the relationships which existed between the compilers and collectors. With a few exceptions the single recipes were handed down anonymously and so we know almost nothing about the authors of these small texts. However, in the larger collections, the names of the contributors are often mentioned either in the title of a whole manuscript or in the heading of a recipe. Fig. 1: Recipes from one of the volumes of Louis V ‘Book of Medicine’ for the medical and magic use of carrots. In order to save space, Louis V developed a system of scribal abbreviation. Often, a single recipe was supplied by various persons to him, that means up to ten people or even more gave him the same recipe. The mentioned ‘layman doctors’ are mostly members of the court, like a valet, a court organist, a scribe at the chancellery, a secretary or a bailiff. The example (Fig. 2) shows you the following abbreviations (you find the real name in parenthesis): P (Elector Palatine), C bar (Christoffel Federlein, barber of Louis), Hensell (Hensel von Schifferstadt, official), Jilge (Walter Gilg, barber), Cal (Wilhelm Kal, a court physician), Hurlewegin (Regina Hurleweg, a female physician), Has (Heinrich Has, court counsellor), Hanaw (Count Philipp III or IV of Hanau-Lichtenberg). Fig. 2: A recipe against lice (Fur die leus) with the abbreviated names of eight contributors. One of Louis V’s successors, Elector Palatine Louis VI (reigned: 1576–1583), was also an enthusiastic collector and compiler of recipes and medical texts. The Bibliotheca Palatina includes around 70 medical manuscripts connected to Louis VI. 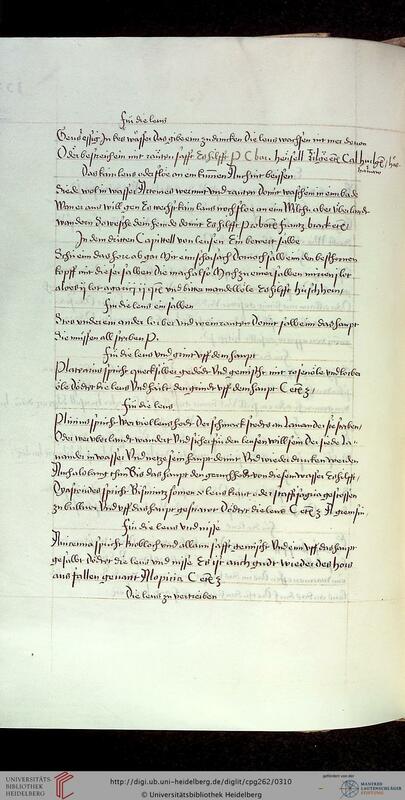 While many of the manuscripts were created for Louis VI by scribes, some of them include entries written in his own hand. Louis VI often rearranged the same recipes into different groups depending on what kind of collection he wanted to create. So we find collections where the recipes are ordered by indication, by different kinds of confection or even by the time when the main ingredient of the recipe can be harvested or the month when the medication should be used. Fig. 3: The ‘Kunst-Buch’ (Book of arts) of Louis VI, his most elaborate collection, written down on more than 300 folios of parchment it contains more than 2.100 recipes and prescriptions. When we begin to look at the kinds of diseases treated, we find that they reflect contemporary life at court. The eating habits, the high consumption particularly of wine and meat was not exactly conducive to health. So it is no surprise that there are many prescriptions for gout. Consequences of malnutrition and sexual debauchery can certainly to be seen in the recipes for haemorrhoids and genital warts. Much space is given to the field of gynaecology with recipes for the elimination of menstrual disorders, on obstetrics, or to regain lost fertility (for both men and women). Veterinary medicine is also well represented, though mainly in the area of ‘Roßarzneien’ (horse medicine). A phenomenon which may be explained by the preference for keeping horses at the court. Between the medical recipes there are often interspersed some cosmetic recipes or recipes for ‘beauty treatment’ like dying hair or brightening teeth. You can also learn something about disinfestations of fleas, lice, mice and so on; how to dye clothes and how to remove stains and other household recipes. In these cases the term ‘recipe’ is not exclusively based on the medical use. We might conclude by mentioning the cookbooks in the collection. It is interesting to note that the cooking recipes and the medical recipes are not often mixed together. Finally, of course, there is no lack of ‘varia et curiosa’. There are numerous magic and fun recipes, which are present in surprisingly large numbers and usually quite abruptly next to ‘normal’ medical recipes. The variation goes from love-spells to magic that should cause severe damage. Perhaps an indication of changing beliefs, it seems many contemporaries were suspicious of these practices and we often find notes like “who knows if that is useful” or in the margin. Fig. 4: One of the readers made a note to a treatise with verveine (Verbena officinalis): “Zauberej so vorr gott ein greuell” (“Beware, that’s magic and an atrocity to god”). If you want to explore the collection of medical manuscripts at HUL you are welcome. You can easily browse the codices online. 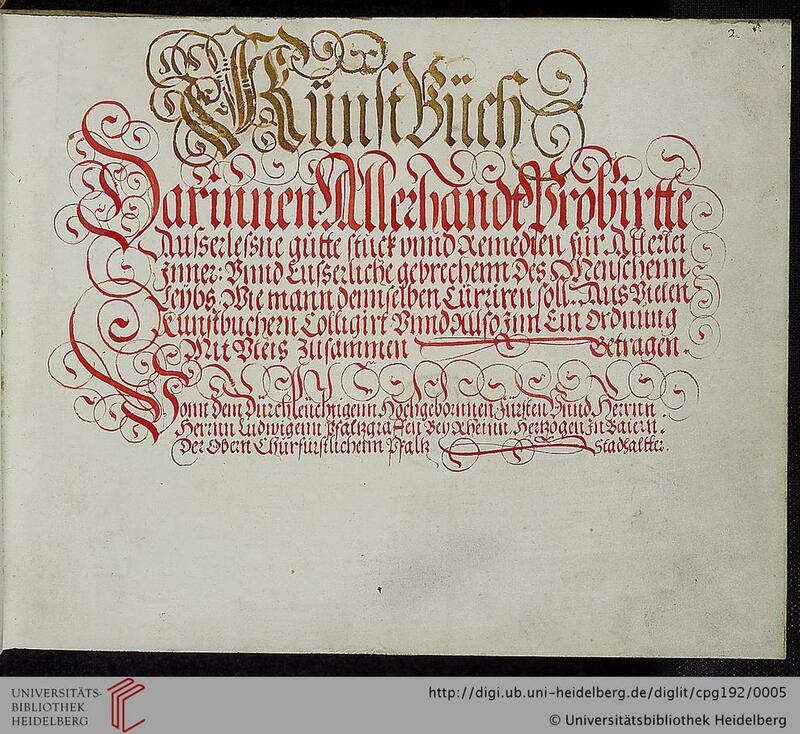 As of late you can leave qualified annotations to the digitized manuscripts or folios. You only have to register (cf. Fig. 5). If you have any questions, feel free to contact me @ Zimmermann@ub.uni-heidelberg.de. On July 19, 1736, Baroness Massimilianna Moltke wrote Anna Maria Luisa, the Electress Palatine and last Medici princess, to thank her for sending a “miraculous powder” to treat infant convulsions, or “male caduco.” In the letter sent from Vienna to Florence, the Baroness stated that the powder had had extraordinary effects on three children from the most important families of Vienna. She went on to explain that these children had been so violently taken by convulsions that the physicians had “given up on them.” Not only had the powder from “la Serenissima Elettrice” cured the children, the baroness also stated that a number of months had passed and the children remained in perfect health. The baroness concluded her letter by thanking Anna Maria Luisa and assuring the Medici princess that the three most prominent families of Vienna would be eternally grateful and would always remember “Vostra Altezza Elettorale e Serenissima” for her generous gift. Of the over two hundred culinary, alchemical, and medicinal recipes that Anna Maria Luisa de’ Medici (1667-1743), collected during her life and which are preserved in the Archivio di Stato of Florence, this one recipe for infant convulsions stands out. The recipe called for the precipitated powder of three ounces of human skull from a person who had died violently but had not been buried, two ounces of oriental pearls, and two ounces of red and white coral. These precipitated powders were then combined with one ounce of amber, one ounce of peony root, and one ounce of peony seeds. The recipe then instructed that all the ingredients be pulverized together and passed through a fine sieve. Once the powder was prepared, the recipe then prescribed giving five grains of it to the afflicted child. Requested by elite men and women in numerous epistolary exchanges, this powder was continually lauded for its extraordinary effects in curing infants of life-threatening convulsions. The letter of Baroness Moltke is just one of many letters concerning a medicinal remedy that the electress exchanged with Italian and European noblemen and women. Anna Maria Luisa’s recipe for infant convulsion powder and the epistolary exchange that promoted it were part of a system of courtly gift giving which supported the personal and familial strategies of the European nobility. While women could not participate directly in the new court science of experimentation, recipes represented an acceptable means to access, exchange, experiment with, and distribute medical knowledge. As the letters exchanged between the Medici princess and European nobility show, the infant convulsion powder became a meaningful and lucrative form of social currency in court politics. The worth of this powder lay in the nature of the victims it reputedly cured. The ability to treat and cure such an ailment that affected the children of elite families garnered great social and political capital. It is no coincidence that the three children Anna Maria Luisa “cured” in Vienna belonged to three of the most important families of that country. By 1737 Anna Maria Luisa’s social and political position was tenuous—she was the last of the Medici line. 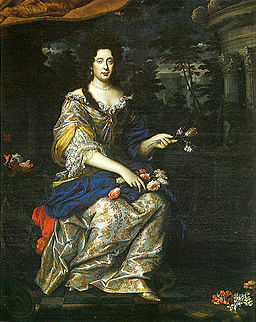 Born in 1667 in Florence, Anna Maria Luisa was the only daughter and second child of Cosimo III, Grand Duke of Tuscany. In 1691, she was married to Johann Wilhelm II (1658-1716), Elector Palatine. She lived in Düsseldorf, her husband’s capital, until his death in 1716. A year later Anna Maria Luisa returned to her native Florence. During Anna Maria Luisa’s twenty-six year absence neither of her brothers, Ferdinando or Gian Gastone (1671–1737), had produced a Medici heir. By 1737 the Medici state would become a Hapsburg satellite, ruled by the Lorraine dynasty. As a widow and last member of the Medici line, Anna Maria Luisa would have played little significance in the social and political negotiations and familial dynastic strategies of early modern Europe. However, as a source of medical knowledge—via a recipe—and the keeper of a powder that was widely distributed and known to cure infant convulsions, she possessed an important commodity for elite families. Paradoxically, Anna Maria Luisa was able to do for others what she could not do for her own family line: ensure its continuation. By distributing her prized remedy, Anna Maria Luisa created political alliances and interpersonal relationships with important elite families across Europe. Relationships she could call upon as she carried out the difficult tasks of managing the difficult transfer of power to the Lorraine dynasty and ensuring her personal legacy. A special thanks to the Medici Archive Project whose generous Samuel Freeman Charitable Trust fellowship made this research possible. The last line of a recipe for a nerve ointment within Anna Maria Luisa’s (1667 – 1743) collection of culinary, alchemical, and medicinal recipes reads: “this being a balm, and particular secret, which is made only in the S.A.R. fonderia, and not in another location, even if others say they have the same recipe.” Five of Anna Maria Luisa’s recipes—two fever waters, one ointment for nerves and another for burns, and a powder to control epilepsy—are attributed to the fonderia of the most serine royal highness, the grand duke of Tuscany. Of these five, three are printed on small sheets of paper and prominently emblazoned with the Medici crest. The printed recipe for fever water stated that this particular water was useful for reoccurring fevers, both malignant and acute. The directions praised the water’s success in moderating the heat of fevers in patients of all ages. It advised giving the water four or five times in the morning, but suggested reducing the dosage based on age. Of all the recipes in Anna Maria Luisa’s collection, this is the only printed text with multiple copies. The fact that this recipe was printed, and three copies remain in her collection, suggest that this particular fever water was widely used and produced by the Medici palace fonderia, or pharmacy. 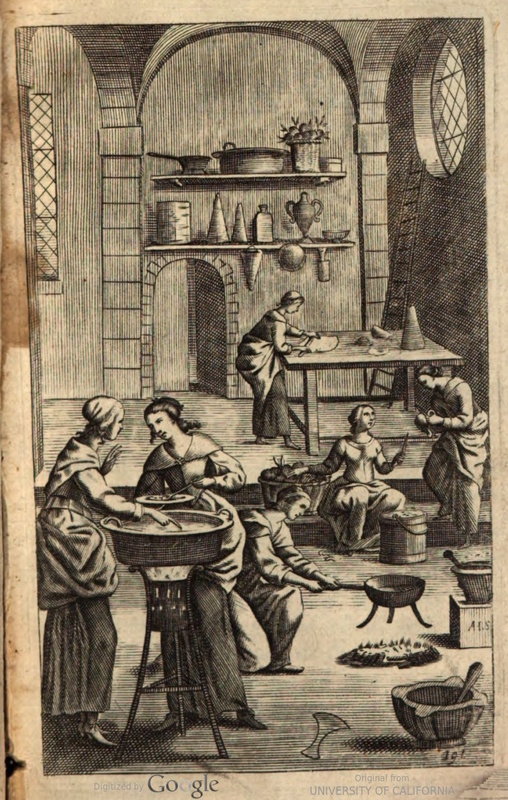 Established by Cosimo I in the Palazzo Vecchio, the Medici Granducal fonderia was a laboratory where naturalists, alchemists, herbalists, pharmacists, and distillers experimented with recipes and techniques for medicinal therapeutics in addition to other metallurgical pursuits. Cosimo’s son, Francesco I, moved the fonderia to the Casino di San Marco, and again in 1586 when a new fonderia opened in the Uffizi. In 1643, Grand Duke Ferdinando II donated an additional room in the Uffizi dedicated to curiosities like stuffed exotic animals and even an Egyptian mummy, which also served in the production of medicines. By the seventeenth century, and continuing well into the eighteenth century, the Uffizi fonderia was famous for its pharmaceutical production. The remedies produced in the Medici fonderia were gifted by the Grand Dukes and Duchesses in precious caskets to nobles and kings of Europe, the Middle East, and even the Americas. 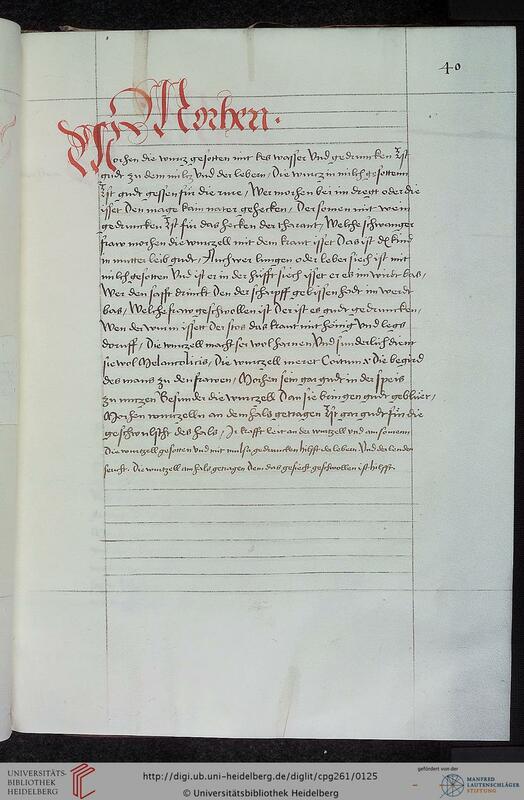 Numerous letters within the Medici archive (now available online, thanks to the Medici archive project) attest to the value of Medici medicines as diplomatic gifts. In 1630, Anna Maria Luisa’s great-grandmother, the Grand Duchess Maria Magdalena (Von Hapsburg), sent oils from the fonderia as a diplomatic gift to the Crown Prince of Spain. In 1637 military captain and diplomat Piero della Rena, who at the time of writing was being held captive by the Pasha of Tripoli, wrote Grand Duke Ferdinando II and proposed a plan to negotiate his ransom. In order to expedite his release, Rena suggested that in addition to money, Ferdinando send an amicable letter, a tent made of damask cloth, and a box of medicinal oils (una cassetta di olii di fonderia). Clearly the products produced by the palace pharmacy were held in high esteem and as such possessed great value—value that could be used for the promotion of the Medici personally and politically. Anna Maria Luisa’s recipes attest to the avid pursuit of alchemical and technical “secrets” at the Medici court. Later male and female Medici family members set up their own fonderie for the production of medicinal oils and therapeutics. The courtly patronage of science not only highlighted the Medici’s splendor and command of nature, it also produced tangible products, like fever waters. As a member of the Medici family, Anna Maria Luisa had access to these recipes to add to her own collection, to gift for diplomatic relationships, or to exchange for other recipes. The inclusion of the Medici crest and attribution to the Medici palace pharmacy was a way in which Anna Maria Luisa could increase the value of her recipe collection. As I continue my research, I am interested in investigating Anna Maria Luisa’s interaction with the granducal fonderia. Like other Medici dukes and duchesses, did she set up her own fonderia or did she patronize the existing granducal fonderia? Understanding Anna Maria Luisa’s affiliation with the granducal fonderia will reveal whether she was a patient who used and circulated Medici therapies, or if she was also a patron and practitioner of medicine.